The name sounds strange right? Lingual braces are the lesser known of the braces family. They’re not exactly mainstream, but trust us, they’re a thing, and they can be highly beneficial for those that need them. Your smile is important, so is the alignment of your teeth and jaw. Let’s explore lingual braces and see if they might be a good fit for your situation. First, congratulations on making the decision to straighten those pearly whites and fix your smile. You may have been leaning towards the newer Invisalign braces, but in some cases, those might not be suitable for your situation. What else is there? Classic metal braces? You know the ones, with big wires and brackets latched onto the front of your teeth for everyone to see throughout the duration of your treatment. Well, you’re partially right. You’ll need some wires and brackets, but the good news is that nobody has to see them. In fact, one of the hallmark features of lingual braces is that they are virtually invisible given their unique placement. Lingual braces are fitted to the back of your teeth on the tongue side of your gum line, which means they’re completely invisible when you smile. Pretty neat right? We think so. And we’d love to see if they would be a good fit to help realign your teeth. There’s more to straight teeth than just cosmetic enhancement. Yes, straight smiles make us feel better and more confident, which can make us happier, but having straight teeth is also healthier. When your teeth are crowded and crooked, it creates neat little hiding spots for plaque and bacteria to build up. This can lead to a variety of issues including decay and gum disease which, if left untreated, can lead to far more serious medical issues. Straightening your teeth can also reduce your chance of injuries. When your teeth are misplaced and protruding, they are at a greater risk of being chipped or broken in the event of an accident. Lingual braces are completely invisible when you smile. This makes them very popular with adults who want to fix their teeth or smiles, but don’t want others to see them walking around with a mouth full of metal braces. We expect to see teenagers with big metal wires, but we’re not as accustomed to seeing adults with them. An unfortunate stigma, but why have obvious braces when you don’t have to? How will Lingual Braces Affect Me? Lingual braces are still braces in the traditional sense. You’ll have some dietary restrictions as to avoid damaging them just like you would with normal braces. Chewy and crunchy foods can bend and break your wires, or knock off your brackets. You don’t want to spend more time in the dentist’s chair than you have to, so you have to be vigilant. You’ll also need to brush your teeth and gums multiple times a day to remove any buildup of debris from food and bacteria, and take care to floss around all of your brackets and between your teeth every day to catch the stubborn bits. It’s very easy for plaque to form with all of these new hiding spots, and optimal oral hygiene is a must. Because these braces are placed on the inside of your teeth, you won’t experience any of the typical negative issues from standard braces, such as mouth sores and wires poking your cheeks, but you may find that they may make speech a little difficult. This is due to the proximity to your tongue, and while annoying at first, is easy to get used to. Before you get set up with lingual braces, you’ll likely start your journey with a general consult to work out the treatment plan that best fits your needs. Dr. Wang and his team are experts at helping individuals figure out the best options to fit their circumstances. Once it is determined that lingual braces are the right path to take, a digital scan or impression of your teeth will likely be taken and used to create your braces. Eat set of lingual braces are custom made to your teeth and desired end result, ensuring a snug but comfortable fit. As per your treatment schedule, you will come in for a checkup every four to six weeks so your progress can be reviewed, and adjustments made to ensure your teeth are moving into their new positions properly and in a timely manner. After all, you don’t want to wear these things longer than you have to! Now it’s time for you to call us and set up your consult. 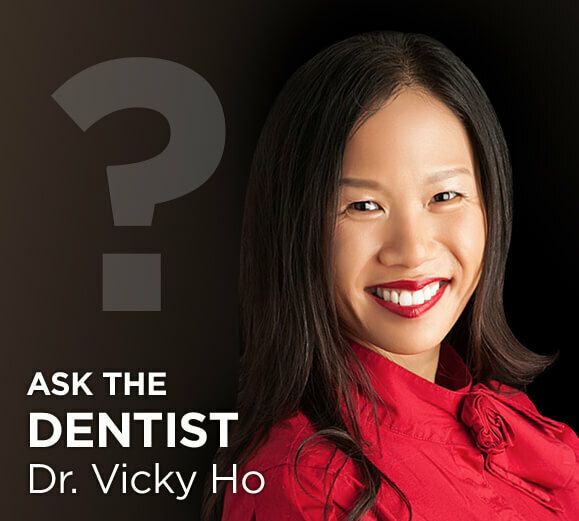 We’ll help develop the optimal plan to achieve the smile you’re after, and we can answer any and all questions you may have (even answer the ones you haven’t thought of yet). With all of the options available to you today, there’s no reason to delay fixing your teeth. So go ahead, take that first step towards improving your smile and oral health. We’ll be waiting.